Clear - in the direction your life is going, and helping you to achieve your goals whether big or small. Calm - internally, as you navigate the wonders and challenges of your life. Connected - to your self, the environment, and your community. Dru New Zealand Regional Manager Sue Cleaver will lead the workshop, with assistance from local Blenheim Dru Yoga Teachers. Together they will guide you through discovering the depth and uniqueness of Dru Yoga. 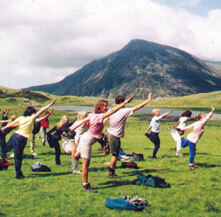 The few hours and the money you invest in a Dru Yoga workshop directly benefits you. After a yoga workshop you will come away with lots of helpful 'takeaways' - new learning, things to try and ideas to incorporate into your own yoga practice. 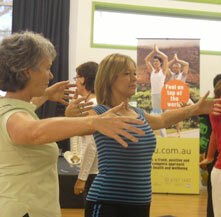 Workshops are also a great way to get re-inspired, move your body in new ways and connect with new friends. Whether it's improving your yoga or exploring new aspects of Dru come and join us for a fun filled day. This workshop is a wonderful chance to experience the flow and power of Dru and ideal for those considering doing the Dru Yoga Teacher Training starting in Aotearoa in April 2020. To Book: please make a direct credit of $60 to the Dru Australasia NZ Bank acc 06-0958-0133100-00 and put Blenheim and your surname and first name as a reference. Then email rebeccajoy@nurturesoul.co.nz to let us know your registration has been paid. Please wear loose comfortable clothing, bring a yoga mat, blanket, cushion and a bottle of water. It is also beneficial to bring a notebook and pen to write down helpful tips and wisdom shared. To book please make a direct credit of $60 to the Dru Australasia NZ Bank acc 06-0958-0133100-00 and put Blenheim and your surname and first name as a reference. Then email rebeccajoy@nurturesoul.co.nz to let us know your registration has been paid.